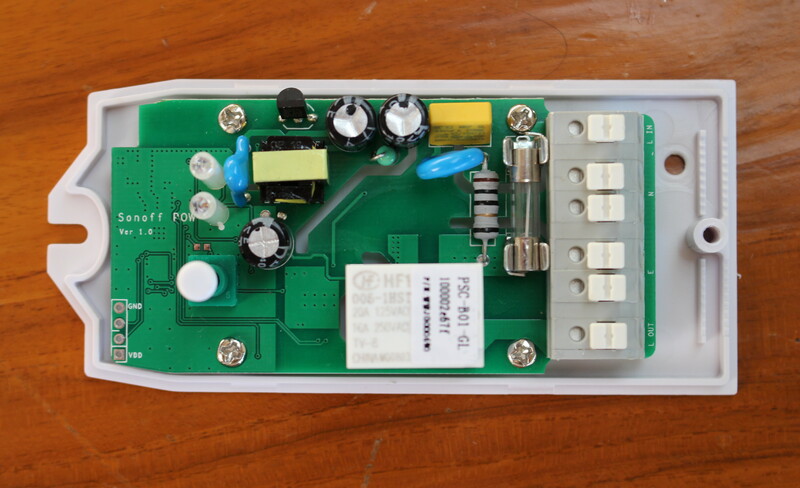 Sonoff TH16 is a WiFi 16A relay that can take external sensors via a 2.5mm jack, while Sonoff Pow is a WiFi relay capable of measuring power consumption. Both have been designed by ITEAD Studio, and feature Espressif ESP8266 WiSoC. The company sent me both items for review, and I’ll start by checking out the hardware a little more closely than what is possible during the product announcement. I received Sonoff TH16 together with Sonoff AM2301 temperature and humidity sensor, which I’ll use to use to control an outdoor water pump and gather temperature and humidity data, as well as two Sonoff POW relays,which I plan to use to measure power consumption in my office, both from the power outlets and my aircon. 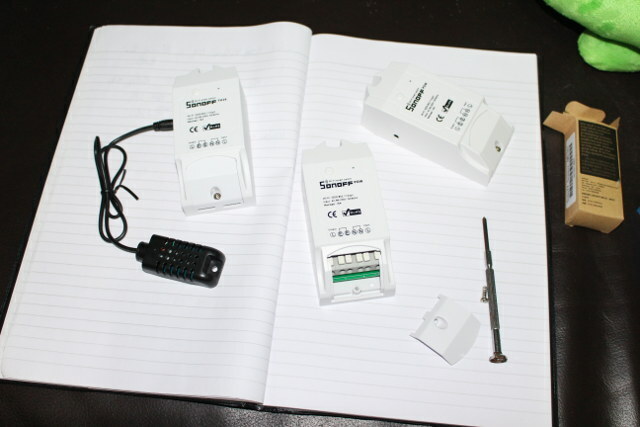 All three WiFi relays support 3500 Watts, and 85 to 250V input. 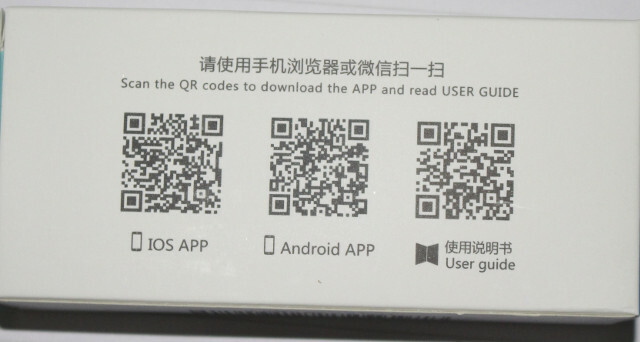 The packages have three QR codes for eWeLink iOS app, the Android app (coolkit.apk), and the user’s manual in English and Chinese. Both Sonff TH16 and POW are using the exact same case, but the hole for the sensor jack is not used in Sonoff POW. There’s a cover to protect the mains cables tightened with a single screw. Input and Output live terminal are on both sides of the relays, will the ground/earth (E) and neutral (N) can be accessed from the middle terminals. The company promotes their devices as hackable, but still decided to include a sticker that breaks if you try to open the case. 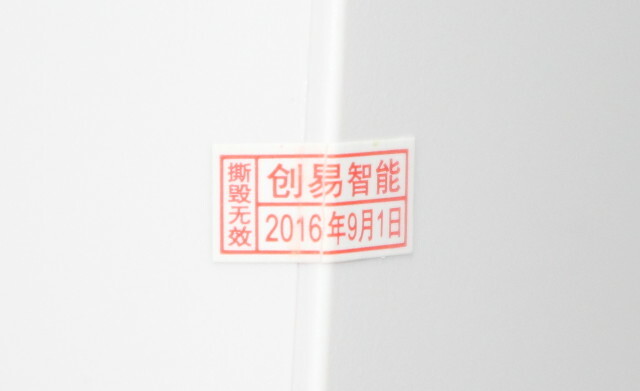 If you bought the device from China, the warranty probably does not matter considering the low price of the device, but if you bought locally and intend to use the warranty in case something breaks, it may be voided if you open the case to flash your own firmware. Opening the case is very easy. First remove the terminal cover by loosening the screw, and then use a sharp and rigid plastic tool to separate both part of the case. I’ve started with Sonoff POW. You’ll find the 4-pin for serial access in order to flash and/or debug your own firmware, the mauin button, two LED, a 16A relay, the 6 input and output terminals, and I’ve glad to see a fuse for safety. Talking about safety, ITEAD has not applied for UL, ETV, or TUV safety certifications (yet), but at least they now have CE certification for all their most recent Sonoff modules. We’ll find ESP8266 SoC on the bottom of the board with a PCB antenna as far away as possible from active components to avoid interferences, thick solder for high voltage traces, and some holes in the PCB along high voltage traces likely for safety reasons. Unsurprisingly, Sonoff TH16 looks almost exactly the same expect for the added 2.5mm jack for the sensor modules. 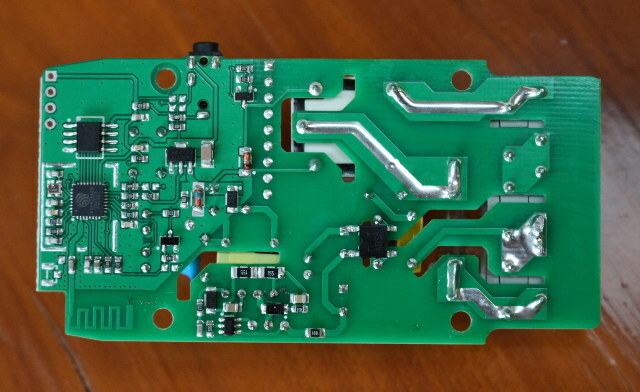 The company also seemed to have designed the board to let people add a 9-pin connector to access more I/Os, but for some reasons all holes are filled with solder instead. 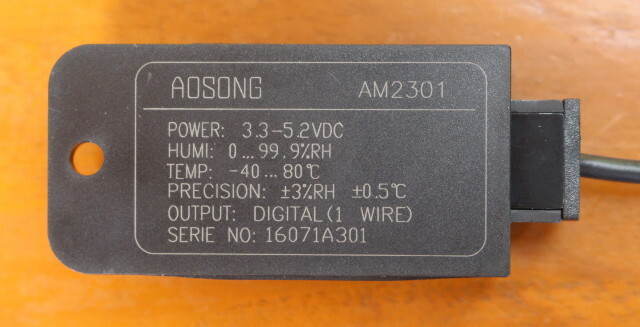 A close up on AM2301 reveals the main specifications of the sensors with 0 to 99.9% relative humidity range, and -40 to 80 C temperature range. That’s all for the hardware presentation. The next steps will be to install and configure Sonoff modules with the stock firmware and apps. 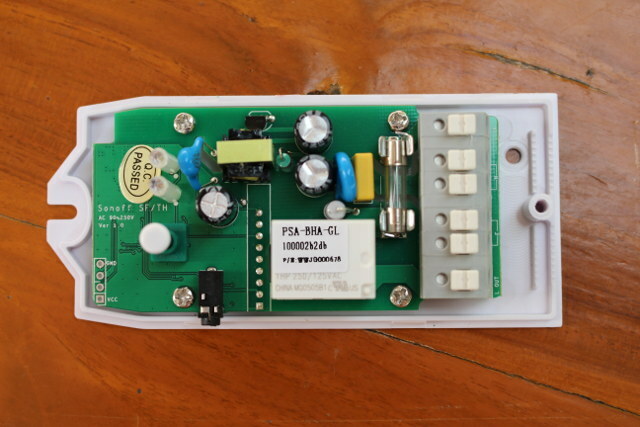 If I go ahead with my idea of connecting two Sonoff POW in my office the setup will look like the one below. 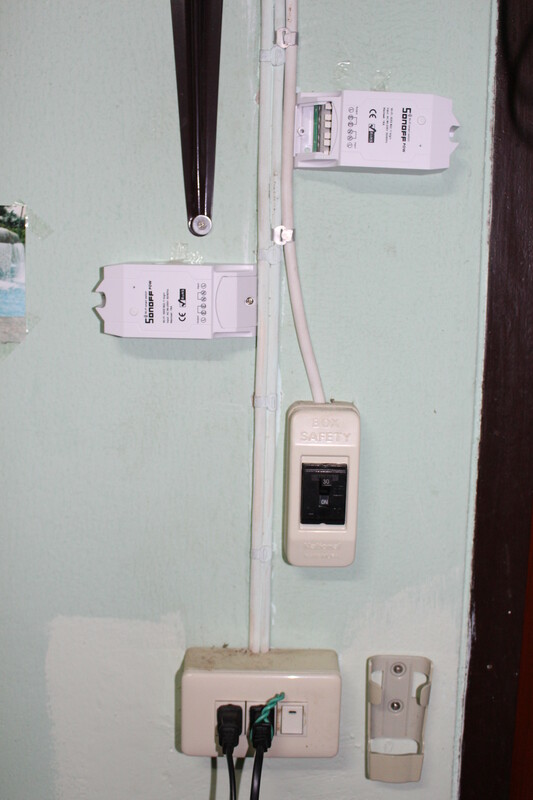 The one on the left will measure power consumption from the two outlets where all my equipment is connected, I’ll leave the center cable alone (the light), and the one installed on the right would measure my aircon power consumption. Once I cut the cables, and connect one part to Sonoff POW, the rest of the cable will be too short, so I had to get cut two short cables and re-cable the gang box, and the circuit breaker for the aircon. I would have wished they had arrange the terminals to make it easier to instead the modules within an existing circuit. 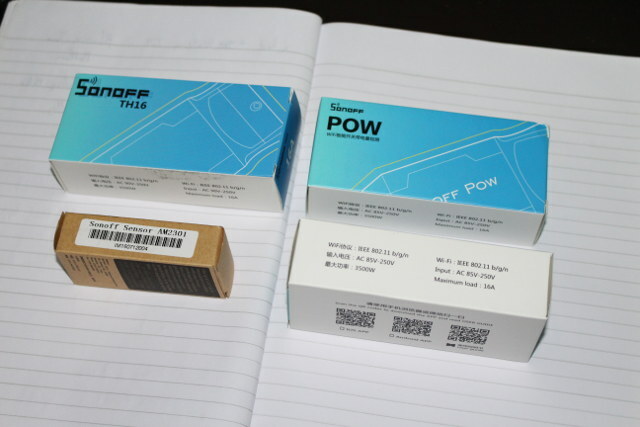 All four items can be purchased on ITEAD Studio website with Sonoff TH16 and AM2301 selling for respectively $8.60 and $4.0 on Sonoff TH page, while Sonoff POW goes for $10.50. Shipping is not included, but normally only adds a few dollars if you select registered airmail shipping, instead of EMS or DHL Express. 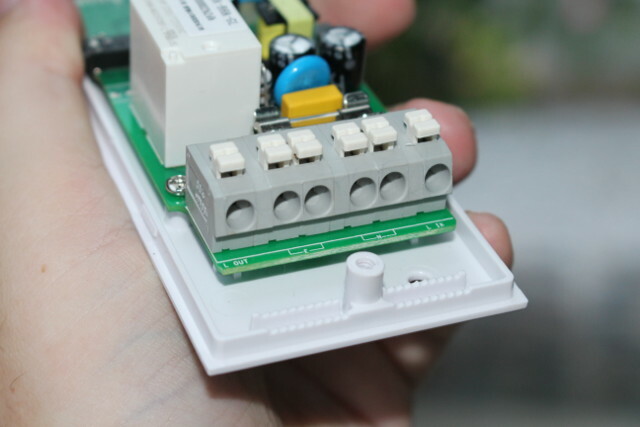 Can you please try these new Sonoff devices with ESP Easy (ESPEasy) firmware? I’m thinking of buying these myself but would like to use ESP Easy firmware. You can’t connect your own sensors to Sonoff devices, I doubt it makes any sense to use ESPEasy. Of course you can use other sensors via the 3,5 jack on Sonoff TH with ESP Easy firmware, you just need to make an adapter using a 3,5 plug, but I was actually just wanting to use Easy ESP to control power on and off with these becuase I don’t want to use the default firmware which rely on Itead cloud server and internet access. So if you can try out third-party firmware on these that would be great! Oh, and it would also be awesome if you try those with Domoticz home automation software. How do you connect your own sensors to Sonoff modules? Right, but that amazingly inconvenient. People need to source 2.5mm jacks..
You can, of course, use 1-wire sensors with ESPEasy on the TH10/16 when you configure ESPEasy to use the ESP8266’s pin that is connected to the sensor jack (GPIO3). You can also use I2C devices, because the jack has 4 pins and carries also GPIO4. The preset of ESPEasy is to use just those two GPIO and GPIO4 for I2C. This way, you can even connect displays through the audio jack. But you could also just use the two pins as switch inputs. If you need help, just ask in the ESPEasy forum. I’ve got mine “POW” and “DUAL” Sonoff device yesterday, (EU Germany) they works fine, two issues I have with the android app, two different android simutanesly devices gives an “expired” message so it nerves me with Password-phrases when I change the android-device. And I didn’t get the widget-function to work, the device field keeps empty. People shouldn’t need to source 2.5mm jacks since we should start to poke ITEAD Studio to provide this as standard accessory? And maybe next production batch also enables GPIO4 by default? I received a sonoff pow today but I can’t seem to flash it. Maybe the button isn’t wired to GPIO0? has anyone managed to program this with their own firmware successfully? Can you set the wifi signal of after setting the timer schedules? I’ll see what I’ll do. But just to give an idea about timing, I plan to test the stock firmware + Android app around mid December, and alternative firmwares testing will be a low priority task (unless the stock firmware is a disaster), so this won’t happen before 2017 – if at all – depending how many toys I’m being sent. I don’t know if this is possible with the current firmware, but even if you wrote your own firmware this would not work reliably, unless you can ensure 100% uptime. If there a power failure the current time would be reset. 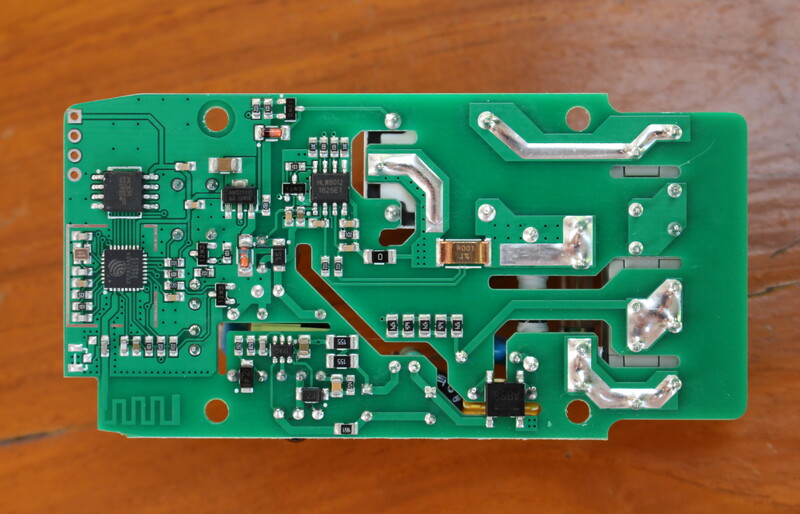 A potential solution would be to connect an RTC board to keep the time at all time. Alternatively, you could turn on WiFi at each boot, get the time from an NTP server (internet or your own), and turn off WiFi. I forgot about the RTC. I read somewhere you can connect a i2c RTC board to these. But I’m not really educated in those things to figure it out myself how this should be done. I don’t know any other IoT power-relays with RTC either. You could add a RTC but doubt it will ever be standard. Has anyone managed to flash Sonoff dual and pow. Can someone post pics of the physical connections and the settings to upload from arduino ide. How can I add an external antenna?